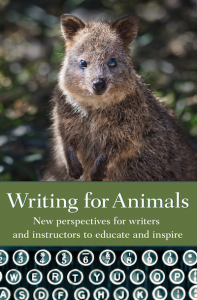 Joanna Lilley’s essay “Do We Have the Right to Write About Animals?” appears in Writing for Animals. A: I think animals have always been part of my writing or perhaps nature more broadly. I remember when I was a child I would write poems about my worries about squirrels and trees being unappreciated or mistreated. I wasn’t especially aware of this tendency, though, until I was on an Arvon writing course when I still lived in the UK and the tutor, author Patrick Neate, pointed out that there were references to animals in every sample he saw of my work. Indeed, Patrick Neate himself of course writes from the point of view of pigeons in his novel, Pigeon Wars. At that time, I was working on a fiction project about wildlife crime and that’s when I started writing more consciously about animals, doing research in my very non-academic way, and more consciously exploring humanity’s relationship with other species. I hope to return to that project one day but, in the meantime, five years ago I started working on poems about extinct animals. That project is making me think and write much more deliberately about our planet companions. I’m reading far more about animals than I ever have, trying to sense their own experiences, explore my anthropomorphism and craft something new from that learning. I hope that my writing is becoming more respectful of animals, more of a listening sort of writing than my own bellowing. I hope I can continue to learn and let the animals change my writing. A: That humans are animals, too. We are not separate. We are a species just like everyone else. We share air, food, physiology. In Frans de Waal’s book, Are We Smart Enough to Know How Smart Animals Are?, he quotes Werner Heisenberg as saying, “what we observe is not nature itself, but nature exposed to our method of questioning.” Humans seem to have to start there before we can accept that animals are sentient, thinking creatures. It’s ridiculous, really, that it even has to be said. It’s as if sapien minds are dark, cramped rooms and we’re afraid of turning the light on for fear of seeing that not everyone looks the same as we do. A: I feel I’m not at all well-read and so the examples I’m going to give are very much based on my limitations. There are perhaps three categories for me. There are the novels I read as a child that helped me find and form the language that I still use for my relationships with animals, particularly Joyce Stranger’s wonderful books. She wrote accurately about animals without anthropomorphism, and I’m so glad I was introduced to her stories when I was young. Then there are the non-fiction books I always mean to read more of but sometimes have trouble reading them because they can be so difficult emotionally and because I am not a very disciplined reader. For example, Peter Singer’s Animal Liberation, from the 1970s, and Elizabeth Kolbert’s The Sixth Extinction: An Unnatural History, which was published just a few years ago. And then there is the poetry. I so admire the many poets who are helping us articulate our existence in the anthropocene era and our complex relationships with nature and animals. 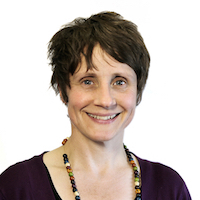 For example, in Canada there’s Stephanie Bolster, Eric Cole, Basma Kavanagh, Alice Major, and Catherine Owen, and in Britain there’s Susan Richardson, Alice Oswald, and Helen Cole. Q: You’ve studied endangered species for your work. How do you stay positive amid the depressing realities of disappearing wildlife? A: I’m not sure I do stay positive, to be honest. That’s where the poetry helps me. I find that writing poetry helps me cope with life and am not sure what I’d do without it. In my writing, I’m trying to connect emotionally, spiritually, intellectually with the experiences of animals who are extinct, sometimes recently by human hand, sometimes long ago in one of the planet’s five mass extinctions. I’m trying to sense these animals and somehow, to me, that is a positive act, albeit minuscule in the context of the enormity of impacts on the planet. I also try to remember that extinction is natural. I mean that evolution is a constant shifting, not that I’m justifying human beings’ eradication of species such as the great auk, passenger pigeon, and western black rhinoceros. No species, including humans, will stay the same forever. Our own species will evolve, and our current forms will become extinct. It is possible that we’ll evolve in a way that will have a positive effect on the other species in this world. I don’t hold out a great deal of hope for that most of the time, but writing about extinct species as far back as trilobites and ammonites has helped me take a long-term view!